Good day readers. As you know, Davido happens to be the best African act according to awards organizers from both local and international. Today, we will be looking at the reasons why Davido's songs are usually hits back to back. After the release of If produced by Tekno, all songs which came after that were all hits. If, Fall, Fia, Like Dat, Flora My Flawa. Apart from this songs, all collaboration he makes with other artists are all also hits. Odo - ft Mayorkun to mention but a few. After looking at all these songs and the ones not mentioned, you will see that Davido indeed makes hit songs. Most people say he buys all his songs. But that's partially a lie. Not all songs artists own are all written by them. Big artistes such as Drake and others also employ songwriters. Infact, Drake has gone as far as employing Nigerians such as Wizkid who wrote One Dance and Burna Boy. That doesn't mean all his songs are bought. People's ideas could also help you get better with your Career. Today, will be showing you true reasons why Davido makes hit songs and will continue to make hit songs. 1. Grace: Most people say Davido is not good that it is his father's money that is helping him while some say he has a frog voice. Davido might not be the best when it comes to good voice but he makes more hits and money than those born with the talent. This is all talking about Grace from God. 2. 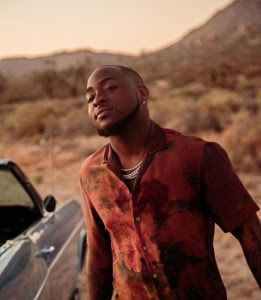 Group: Davido is someone who is open to New ideas and that's why K believe he has a group of trusted friends around him which he created the 30 Billion Gang. 3. Label: Davido started up the DMW with few artists and currently signed a producer. The producer Fresh VDM happens to be Davido's destiny producer. Every song produced by Fresh is usually a hit. He understands what Davido wants and arranges everything to suit his pattern. 4: Genre: In this aspect, it is not new that we all can dance to Davido's kind of music as it carries extraordinary ginger which makes it a banger in clubs and also a vibe during live performances. 5: Meaning: Davido's music is knew that has a meaning. If you seat down to listen to his songs, you can relate it to your life. He turns things that happen around into music and it sells very well. 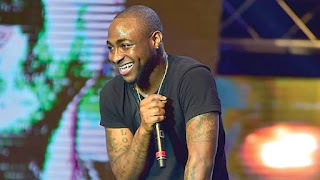 6: Story Like: Davido's music is one that tells a story with a meaning. The song if countered girls who ask for money. The first line said, "shawty wants a million dollar, say make I wire wire, turn me to under cover, Maga Oh" This is literally saying that girls think he is a fool to just be sending money. The same song also threw shades at Caroline Danjuma and the police. 7: Trends: Davidos songs always trend because of some certain things he says and they last forever. Even then as an up and coming musician in the industry, he made a saying like I am the son of a rich man that's OBO. He also copied the phrase if you no get money, hide your face. His song Aye trended really well because of some words like she no want Ferrari, she say na my love. I am not arguing that Davido is better than anyone, but just telling you reasons why I feel he will remain strong in the industry.